Old fashion cars, special dinners in authentic ambiences, exclusive musical and dance performances, constant attention to details. Solways Premium is a special travel designer. The program offers a pleasant stay preserving client privacy to enjoy specially designed services. Accommodations at any of the hotels suggested by Premium Solways which includes The Level Service at Melia Cohiba or Melia Habana hotels or the superior rooms at Central Park Hotel, Saratoga Hotel or Santa Isabel Hotel. Accomodations at the best rooms in Trinidad, Cayo Santamaria , destinations suggested by Solways Premium. Special city tour including the main attractions of the Villa of San Cristobal de la Habana Villa with presentation of music and dance performances and special lunch with a previously agreed menu preferred by clients. Special Tour with Trinidad Villa with the inclusion of traditional sites and museums. Special welcome dinner at the selected Hotel. Special dinner in the city during the stay in Havana and Trinidad. Breakfast included in Havana and Trinidad and all inclusive services in Cayo Santamaria. Transfers in ancient or modern vehicles accordingly to the distances and client preferences. Music and special environments details for the couple. This program is a reference for a special tailor made program design. Accommodation suggested is based on a double occupancy junior suite room. Limited allotment. The best rooms in the city are guaranteed. Supplements apply depending on the final program, nights and the topics covered. These are reference prices including 1 night minimum of stay in each destination suggested. Once the particular design is finished, prices will be adjusted as per the final services included.Lunch or dinner including a la carte with values up to 30 CUC per customer, drinks not included. Airport taxes, visas, insurance not included. • Accommodation in the best rooms in the capital and in the selected destinations. • Special bouquet of flowers, previously selected rooms with gifts for clients. 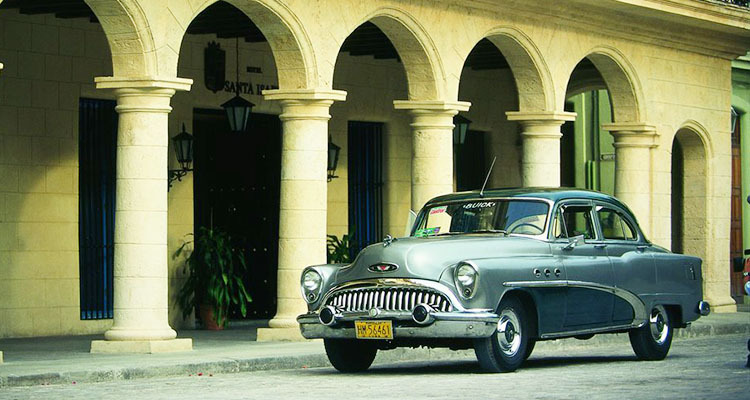 • Special tour of Havana that include an exclusive presentation of music and dance performances. • Special dinner in the City. • Transfers in old fashion cars. • Boat trip for two.